Food local delicacies are part of our culture, from deep fried foods, grilled, or gourmet, we discover new things to cook and love to eat. 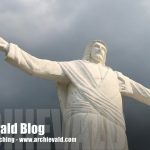 In this blog, we discovered the local delicacy in Aguirre Avenue, BF Homes, Paranaque, we heard this place from friends and thanks to the help of some App. Its a place where you find assorted type of foods, or it’s enclosed food park in BF Homes, Paranaque. We discovered Container Turf in BF Homes, Paranaque. 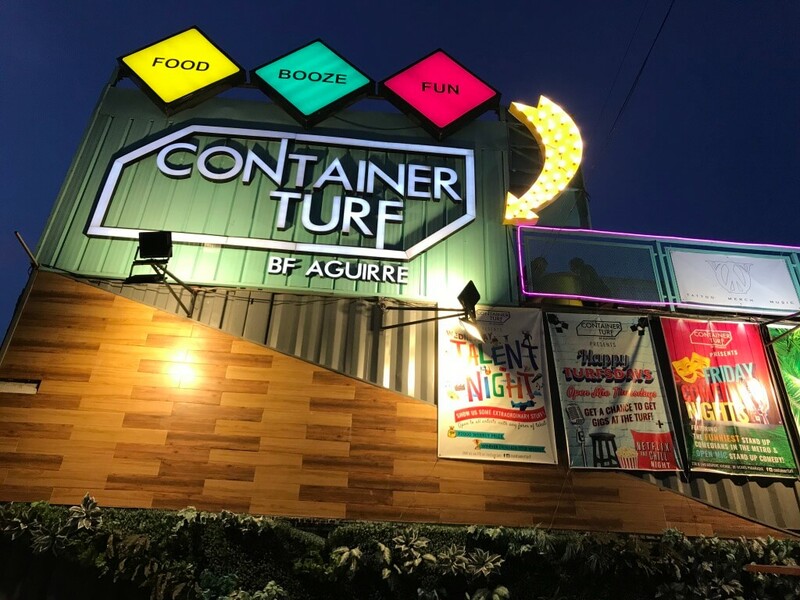 Container Turf is located in Aguirre Ave. Looking for the location of Container Turf? 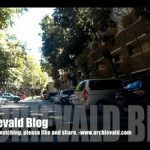 thanks to Google Map, we locate this place at ease. Container Turf food prices start from ₱150+. The food is cheap as we first thought, the prices are ranging from Php150 – Php400+, depends on your food to order. We ordered Bagnet in Container Turf, BF Homes, Paranaque, and the price is around Php350+, good for 2 of us. It is greasy, delicious and we really love it. I would like to order Bagnet again here in Container Turf but we are now somewhat-full and we are reserving our tummy for another meal. Oh fries, we love french fries and this will never get old. 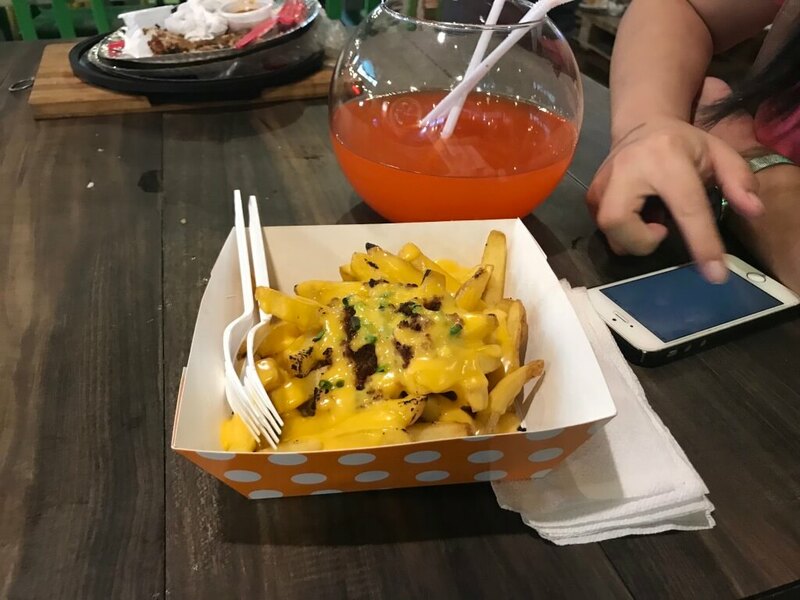 We also take Cheesy French fries, the price is ranging from Php200+, as you can see in the picture above, it is good for 2 people, enough for us. I love the the French Fries in Container Turf in BF Homes, Paranaque but there’s a catch-up, it’s also greasy, I believed that most foods served here are greasy, the greasier, the ‘tastier’ for some. 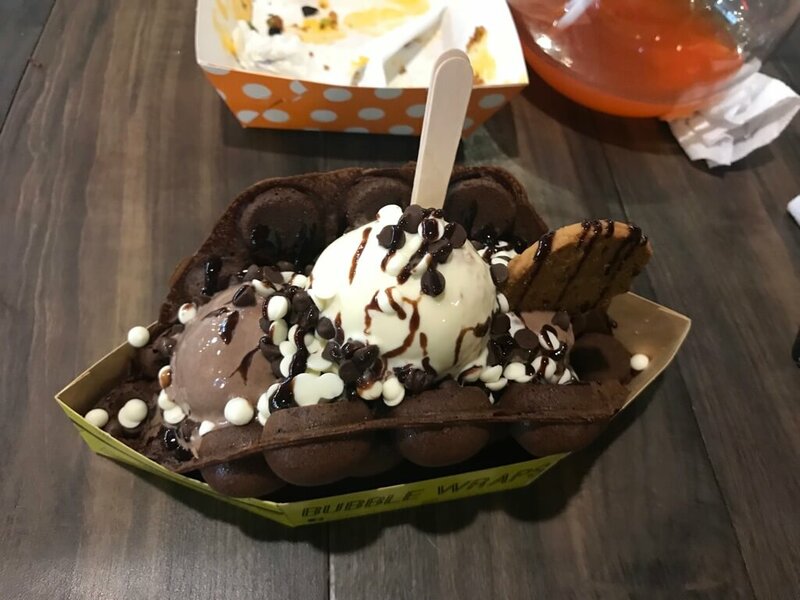 Trust me, it’s look tasty, I would say an average ice cream (sorry I am not really sweet-love food) but my girlfriend really loves this Ice Cream Waffle in Container Turf, she said she wanted another one. This Ice Cream in Container Turf has a small kisses and small marshmallows and Ice Cream in Waffle, sounds great eh? You can also customize it, infact they have a variety of flavors and add-ons. Trust me, most of the time, the first impression of the visitors here in Container Turfs are the appealing front façade of Container Turf. The Container Turf design artist are successfully attracts the visitors from its bright and alive front-view of the establishment. My first impression is wow and I was amazed to the effort to establish this food establishment. The one of the problem here in Container Turf in BF Homes is the parking spot, they have only limited parking spot. If you don’t want to get in trouble finding parking spot in Container Turf, consider their own authorized Valet service in Container Turf. The another one is some establishments don’t accept debit/credit cards, so prepare to bring your own cash to pay your orders. I’ve been in many parts of Europe and I would say their food is good. 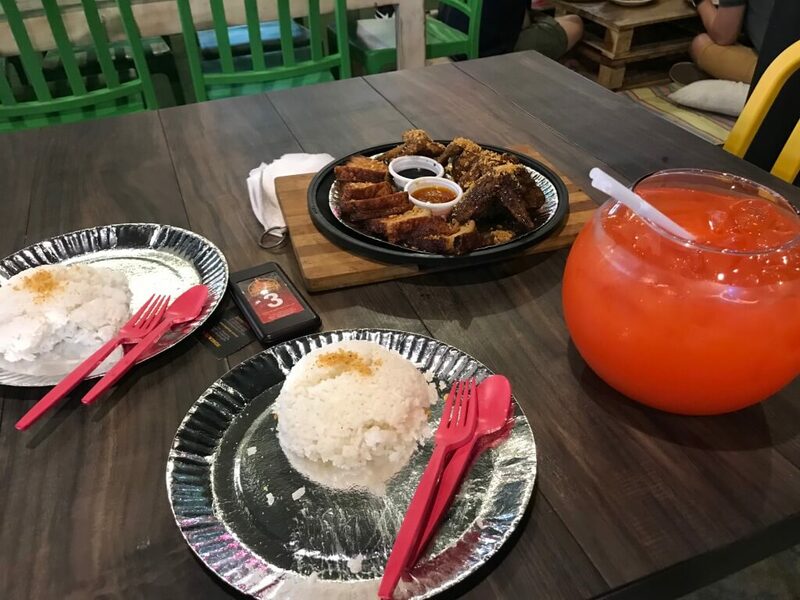 A typical Filipino food who loves to eat greasy and grill will love here in Container Turf in BF Paranaque. You will really love and enjoy their food. As of September 2018, Container Turf in Paranaque was permanently closed.